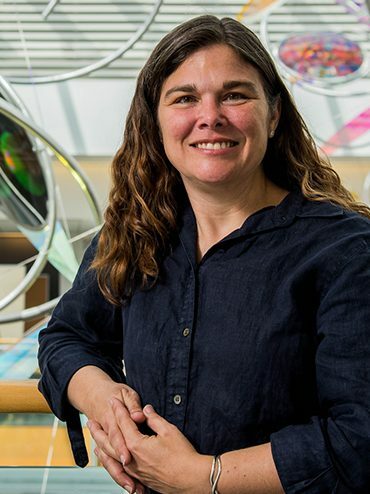 Dawn Cornelison is a professor in biological sciences. Work in Cornelison’s lab is aimed at understanding satellite cells, the stem cells responsible for growth, repair, and regeneration of skeletal muscle. In particular, the lab studies how satellite cells get information from the local environment, then use that information to decide whether to divide, move to another area in the muscle, or differentiate into functional muscle cells. This research is important not only for the insight it will provide into how the body maintains and repairs itself over a lifetime’s worth of wear and tear, but also because it may help to develop new treatments and therapies for muscle loss due to aging or degenerative diseases such as Duchenne’s muscular dystrophy.